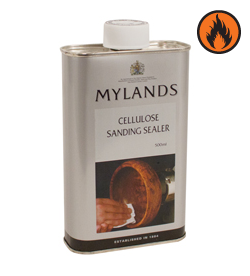 This Cellulose Lacquer Sanding Sealer is perfect for making turnings achieve the best possible finish. When applied before a friction polish it assures a smooth glossy finish. When used before a penetrating oil it helps prevent dark spots caused by uneven penetration. For the best possible finish many turners have turned to sanding sealer. 16oz container.